A trip to Maui wouldn’t be complete without a HIKE through the lush greenery of the island, taking in views of VOLCANO-FORMED MOUNTAINS, OCEAN SWELLS and TOWERING TREES along the way. One great trail to take in Maui’s natural beauty and learn about the Hawaiian culture is the 3-mile WAI‘ANAPANAPA COASTAL TRAIL (listed as the KE ALA LOA ‘O MAUI TRAIL on the Na Ala Hele Hawai‘i trail and access system website), just north of Hana Bay to WAI‘ANAPANAPA STATE PARK. There is a cleared heiau (ancient temple) about halfway between Wai‘anapanapa and Hana. VILLAGE WALKING TRAIL and MAUNALEI ARBORETUM TRAIL at Kapalua Resort (kapalua.com) are two hikes in a series of 100-plus miles of trails throughout the resort’s 23,000 acres. HALEAKALA NATIONAL PARK’S 27-mile trail system offers some of the best—and more-advanced—hiking on the island. This area showcases stark contrasts both in terrain and topography. Stop by the visitor center for a brochure and current conditions before heading out, or check out nps.gov/hale/ planyourvisit/hiking.htm. For expert hikers, LAHAINA PALI TRAIL, built more than 200 years ago, follows the route traditionally taken by island royalty during the celebratory makahiki season. At 5.5 miles long with sharp inclines, it’s rated as “difficult;” a safer plan would be to hike one way and arrange for a ride to pick you up at the end. 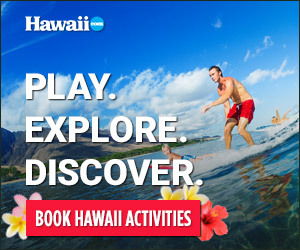 If you’re looking for a more leisurely stroll that will please both children and adults, and wish to view some of Hawai‘i’s endangered water birds, promenade along the beautiful KEALIA COASTAL BOARDWALK AND BIRD SANCTUARY AT MA‘ALAEA BAY. This tranquil path through ancient wetlands will introduce you to many of the island’s native and visiting birds. Across the way, you’ll spot Kealia Pond and enjoy views of Haleakala and the West Maui Mountains. The parking lot for the path is located on the south side of North Kihei Road (Route 31) in the Kealia Pond National Wildlife Refuge. Call (808) 875-1582 for more information. Trails vary in difficulty, so make sure you have the most updated information for your hike. Good sources for detailed information on trails are NA ALA HELE, THE STATE OF HAWAI‘I’S TRAIL & ACCESS SYSTEM (HAWAIITRAILS.ORG), AND THE DEPARTMENT OF LAND AND NATURAL RESOURCES (54 S. High St. in Wailuku, 808-984-8100). Good tips for novice hikers are found in the “HIKING SAFELY IN HAWAI‘I” brochure. Download it from the Na Ala Hele website. Should you choose not to go with an experienced hike guide,remember: Never hike alone; tell others of your plans, and take a mobile phone with you.